Hey guys, been off for a while working on a project, but glad to be back. Today, this post would be about preparing an application for release which i feel is poorly documented and can waste your development time. This tutorial would cover android and maybe in later series i would cover how you could do the same for ios. This tutorial is aimed at showing you how to achieve a playstore ready production apk that can be uploaded and released directly. For android and IOS, cordova is what ionic uses to compile its applications. Cordova provides plugins for both android and ios enviroments and compiles your code to the webview within the application which runs on pure java as all android applications do. Cordova compiling instructions are contained in your config.xml file which is generated with the project and typically looks like this. From the first release to every subsequent release you would need to version your application. The google play store does not receive two apks that of the same version so you should make sure to change your version from your widget within your config.xml to prevent apk rejection by the playstore. 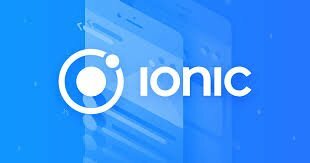 This uploads your files to the ionic cloud where splash and icon images for every possible screen size are generated and added to your project. If you carried out all the steps above you would have generated an unsigned apk which is ready for production. The next thing would be to sign and zipalign the apk. 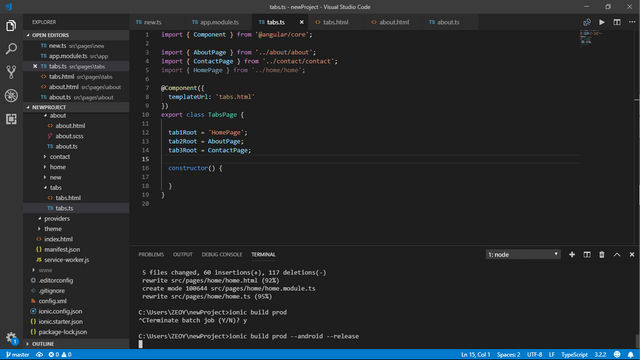 Luckily this is quite easier than all the steps above and is better documented in the ionic documentation. You’ll first be prompted to create a password for the keystore. Then, answer the rest of the nice tools’s questions and when it’s all done, you should have a file called my-release-key.jks created in the current directory. Note: This procedure works for both the ionic3 and ionic4 versions. In the code it is important to have comments, it helps a lot the less experienced users. We suggest you present the results of what was developed in GIF instead of screenshots. Thank you for your work in developing this tutorial. Looking forward to your upcoming tutorials. Congratulations @yalzeee! You have received a vote as a way to thank you for supporting my program.